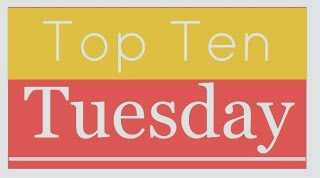 With Valentine's Day looming over the horizon, this week's topic on Top Ten Tuesday is to list the top ten things that I like, dislike or would like to see more of when it comes to romances in books. Love triangles are a common theme when it comes to romance. In general, I don't really enjoy reading them because the writer rarely sets it up well. In some novels, I even feel like the author puts it in because it's expected and has occurred in every other book/series in that genre. In these cases, either the pairing is obvious and the third wheel just comes across as annoying or both guys are great and the girl comes across as indecisive. And if we're going down the love triangle path, please, for the love of all things bookish, give it a decent ending. I hate it when the author tries to keep both side of the camp happy and the ending just... stinks (think Vampire Knight/Pearl Harbour-esque type of ending). While professions of love are great, what really kicks me in the feels is when the little actions really highlight how much the couple cares for each other. The small quiet gestures. The side-way glances when they think no one is watching. I like secondary character coupling up too, sometimes even more than when the two main protagonists pair up. But what I don't like is when the author pairs everyone up and ties everything up in neat little bows. When the two protagonists just click and sparks fly, you know you've got a winner in your hands. There is a big difference between chemistry and instant love. And when you cross that line, no amount of salvaging can save the relationship. Yes, love is meant to conquer all. But there are still boundaries that should never be crossed (and here, I'm talking about things bigger than cheating). And if you really love your significant other that much, you should never have done the unforgivable act. When there is to-and-fro, give-and-take in the relationship, that is when the couple really comes alive on the pages. I love happy endings. Sometimes, in books that I have enjoyed (espeically those where the couple went through hell and back and only got together right at the end), I can't help but wish for an epilogue so I can continue to bask in that happy glow. Anyway, that's my list for this week. What made your list? OOoh nice! I liked these too! For some reason I struggle to come up with 10 myself! Guess are there are just a handful of things I don't like. It always depends on the author's execution of the romance in all its elements!